NavyRecognition reports a contract for a system that might have application for the Coast Guard. “MARSS Group have announced an important new contract with the installation of NiDAR command and control system on a flotilla of Zodiac Hurricane RIB fast patrol vessels. The contract with Zodiac Milpro, is valued at over USD 2million and was for the supply and installation of an expeditionary version of NIDAR command and control system and the complete sensors package. The NiDAR X(eXpeditionary) is to be fitted to a flotilla of 11m Hurricane RIB fast patrol and intercept vessels for an undisclosed special forces unit. “With NiDAR X installed, the RIB’s are transformed into a fully networked wide-area surveillance system, providing a shared situational awareness picture between each of the craft. 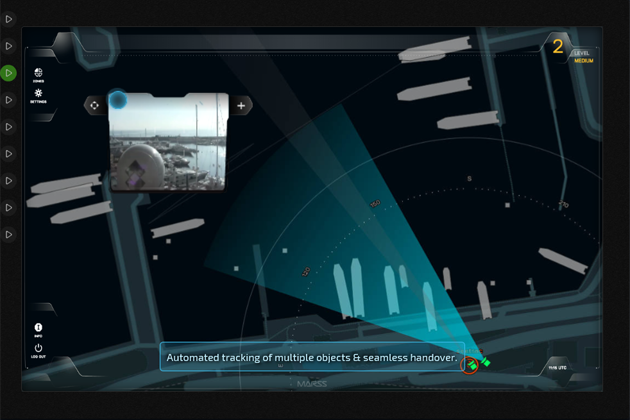 NiDAR X is completely sensor agnostic so it integrates multiple sensors from each of the craft including; cameras, radar, sonar (optional) plus AIS, digital radio, tracker and transponder inputs to detect, identify and monitor unknown and known air, surface and underwater objects. 200 square nautical miles is not a huge area, about 14×14 or 20×10, more likely a 16 mile diameter circle, but it might work for a station. This entry was posted in ISR, maritime domain awareness by Chuck Hill. Bookmark the permalink.